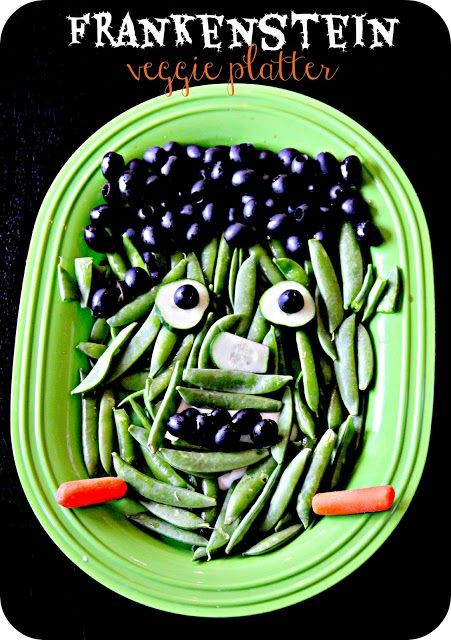 With all of the candy being passed around, a veggie platter really is a nice change. Make it fun and the kids will love AND eat it! Sometimes that’s all you need is a sign! 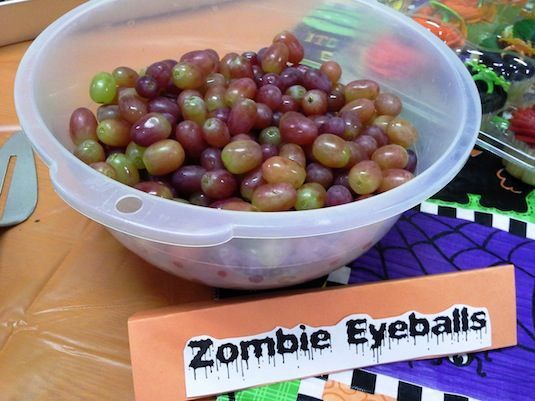 There’s nothing special about these grapes, but the “Zombie Eyeballs” sign makes them seem disgusting! Perfect for a Halloween party table. By now you’ve probably seen the cheesy witch brooms, but you can also do this with celery. 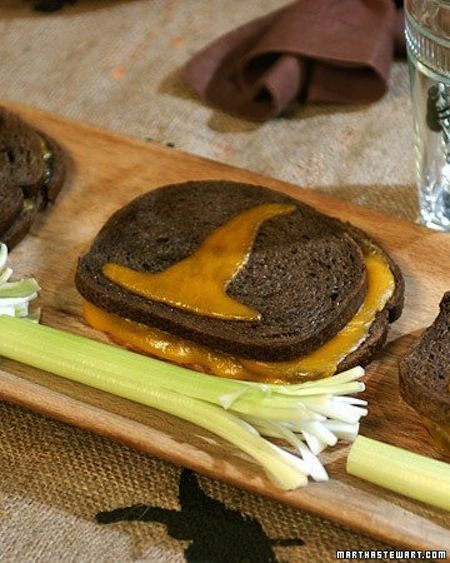 Just cut up the ends a bit and serve with peanut butter for dip, or perhaps along side this enchanting grilled cheese sandwich.